High profile cases of automotive hacking and the concerns related to such events have finally been addressed in Washington. A recent senate report condemned automotive manufacturers for their lack of protection for IoT connections, labelling them as inconsistent and haphazard. Also pointed out was that auto manufacturers were also failing to protect the transmission of detailed geo data that manufacturers are now routinely collecting, often without the knowledge of vehicle owners. The solution it seems is a future where Automotive security is to be fully regulated by the NHTSA and FTC in the USA, and this will no doubt greatly influence the automotive industry worldwide. Legislation of how data is handled and how security testing is carried out are two key areas likely to be effected by the bill proposed by Democrat senators, Ed Markey and Richard Blumenthal. Although the SPY Car Act was originally proposed pre Trump, in July 2015 no further updates on progress have been issued, however the inevitability of future regulation should spur Auto manufacturers to act immediately and not wait for the wheels of democracy and bureaucracy to have an effect. Neither ALM nor PLM software can prevent hacking, but rather the use of such tools enable software development teams to effectively manage project requirements and provide a means to carry out security testing transparently and with complete traceability. This enables teams to collaborate effectively while managing complexity, thus preventing many of the issues that lead to bugs, - flaws that can be hacked. The structure provided by Agile Frameworks and the ALM software that reinforces it, provides process improvement and consistency that in-itself prevents flaws from occurring when properly implemented and utilized. Of course, security requirements are what security of products is tested against, so inevitably if the security requirements are insufficient, then no tool or framework will prevent project failure. 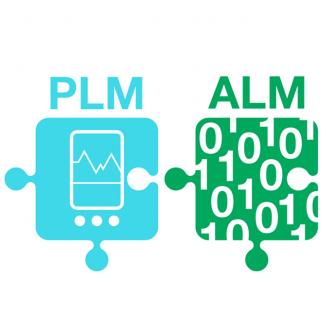 codeBeamer ALM manages not just the traceability of testing of software systems but can also manage the testing of mechanical and electronic systems through integration with PLM software, and provides a unified data model, preventing the duplication of data. ALM Software provides an extensive documents management functionality and an integrated environment for software development, including complete traceability across the entire application lifecycle, including testing automation, linking tests to requirements. The features of codeBeamer ALM assist connected car departments meet the regulatory requirements of the automotive industry and enables quick and easy audits. Not only does codeBeamer ALM reduce the risk of development through reinforcing best practice provided by any Agile Framework, but for when errors do occur, ALM Software assists with the identification of the errors and simplifies the fixing of those errors thus reducing development cost.